Are you headed to the Washougal National this weekend? 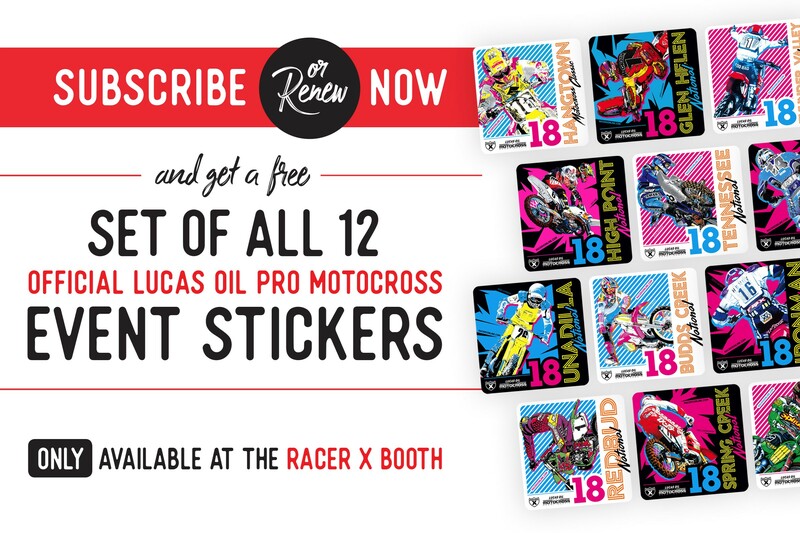 Make sure you stop by the Racer X booth, located in Sponsor Village, and subscribe for as low as $10 and receive ALL TWELVE Official 2018 Lucas Oil Pro Motocross Racer X event stickers. You will also receive a complimentary magazine and free Racer X stickers. Be sure to check out our Racer X Brand items on display and grab some gear. See you at the races!